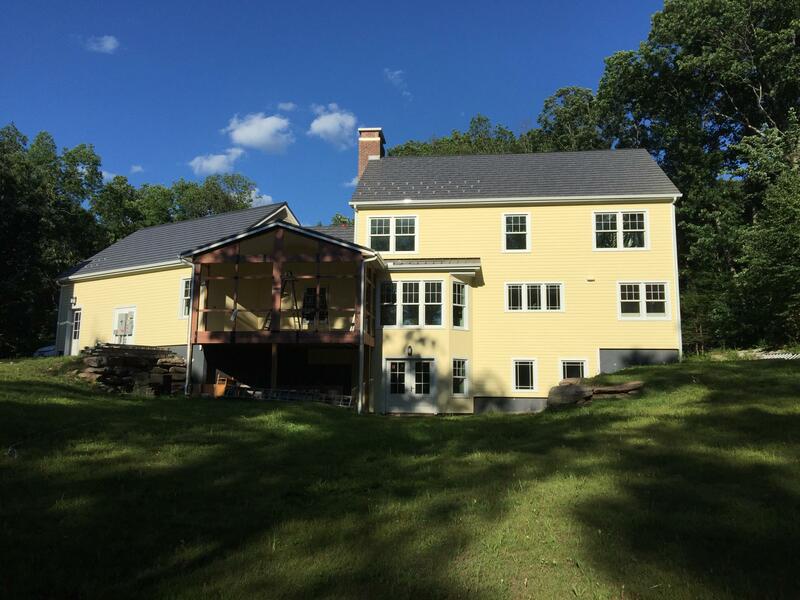 In constructing the Benker residence, the Glastonbury Housesmith built a durable, energy-efficient, and healthy home for the residents. The home focuses on longevity, including features like extra insulation for rot prevention and a stronger structure for hurricane protection. Many homes use fossil fuels as an energy source, like a gas stove or heater. The extraction and burning of fossil fuels has a large, negative impact on the environment, which was the inspiration for the Benker residence to be 100% electric and use no fossil fuels. 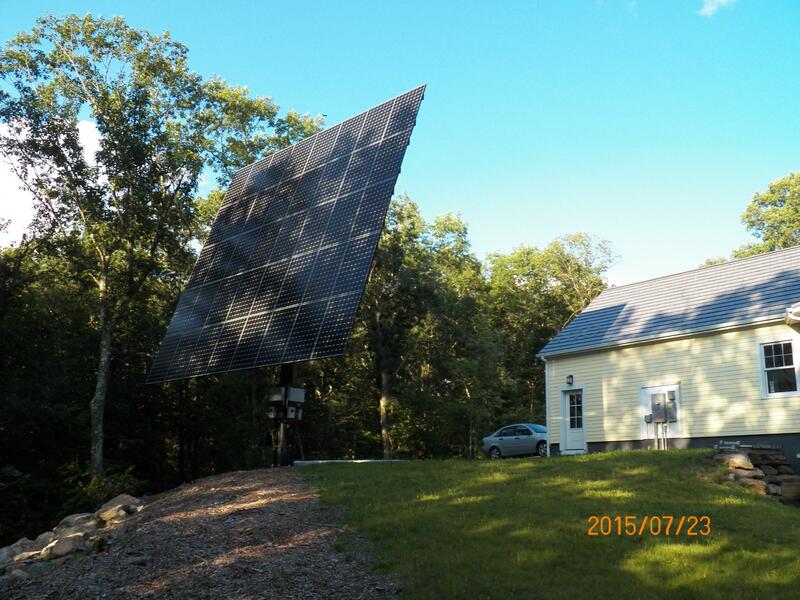 The home has a pole mounted solar tracking photovoltaic system that will provide more than enough energy for the home. In fact, an electric car charging station is installed to make use of the electricity produced on site. 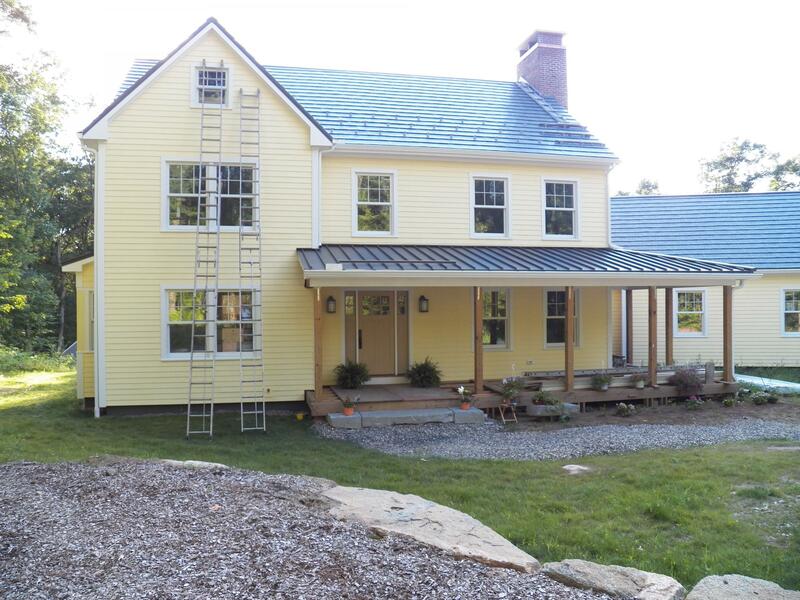 This house meets the energy standards of LEED, NGBS, ENERGY STAR, and DOE Zero Energy Ready Home programs. 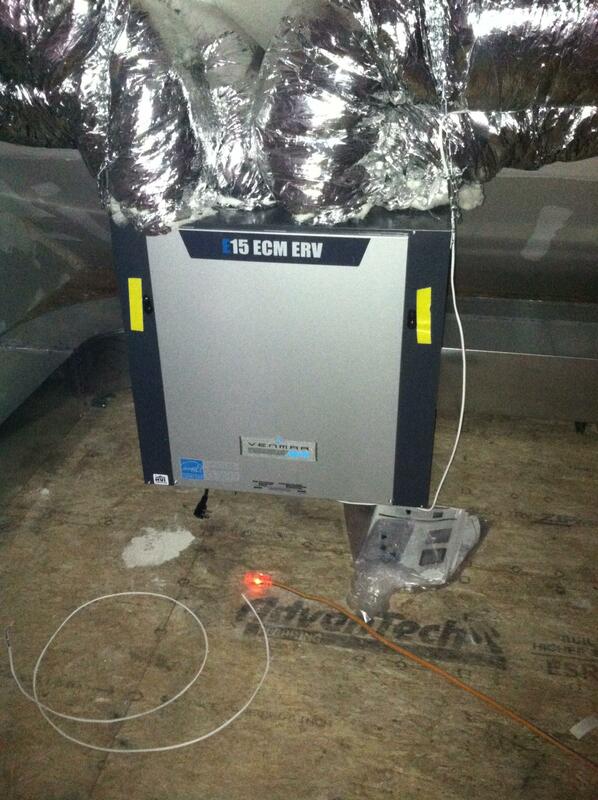 This energy efficient home has a very low air infiltration rate rate, so the maintaining a pollutant free indoor air is critical. 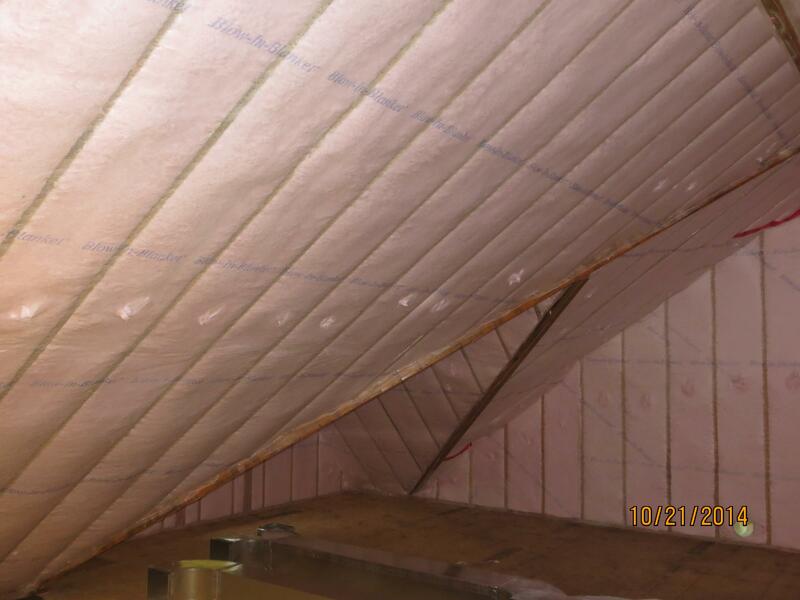 The home has GreenGuard-certified, low VOC products, including drywall, insulation, and floor finishing. The Benker Residence strives to be a healthy environment for the occupant and a good neighbor focused on resource conservation. 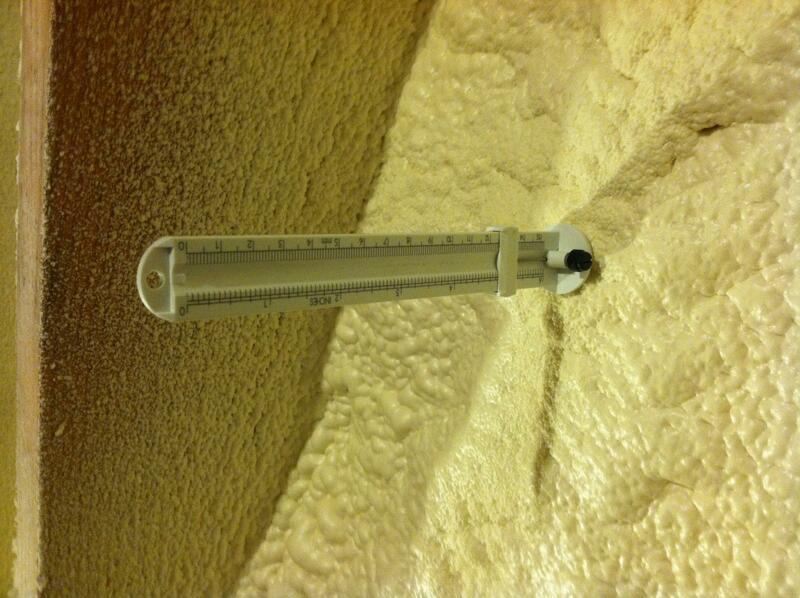 The foundation wall is a Thermomass centrally insulated foundation with a total R value of 20. 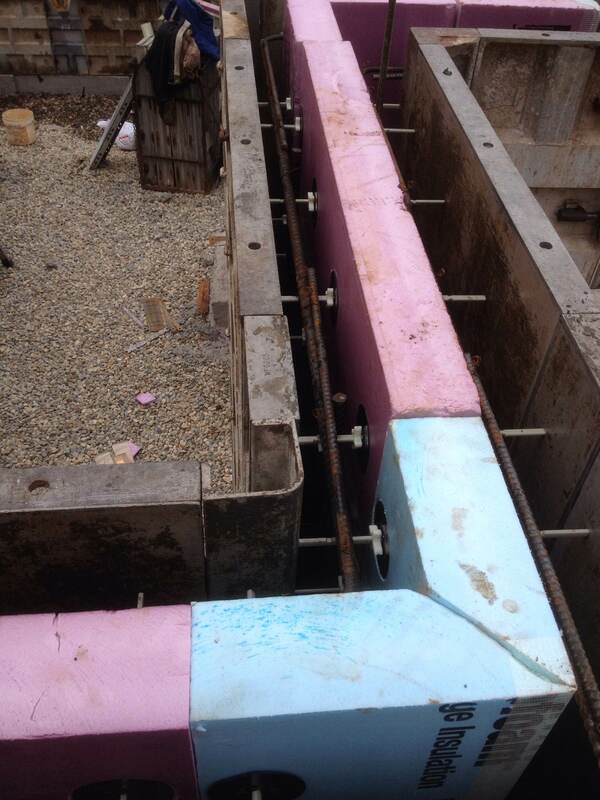 This was the best option, when compared to an internally or externally insulated foundation. There is no foam on the exterior of the foundation wall which eliminates the issues of mold, trapped condensation, loss of internal space, a fire hazard, insect/animal infiltration and other possible damage. Owens-Corning Foamular XPS insulation was at the foundation because it is GreenGuard certified to be durable and low-emitting. 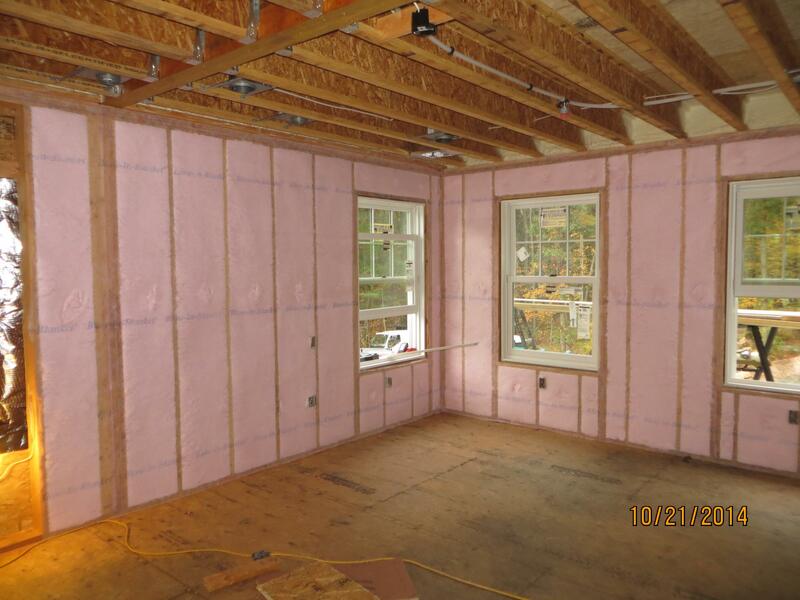 This 2x6 wood framed wall has blown fiberglass in the wall cavity. 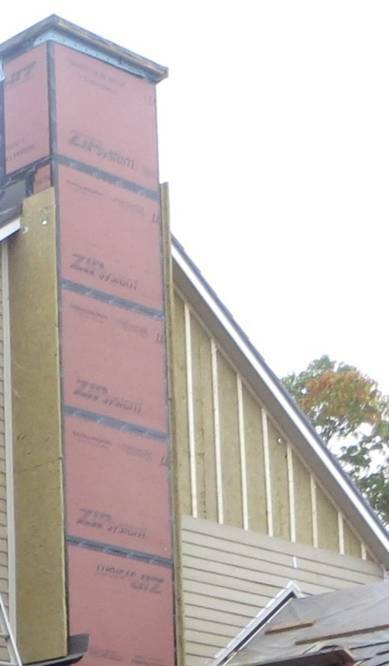 On the exterior side of the wall 2.75" of mineral wool provides continuous insulation, taped ZIP sheathing creates a continuous air barrier and vertical strapping creates a rain screen. The stud framing employed open corners for a better thermal envelope. It is designed to the 2012 IRC wind loads.